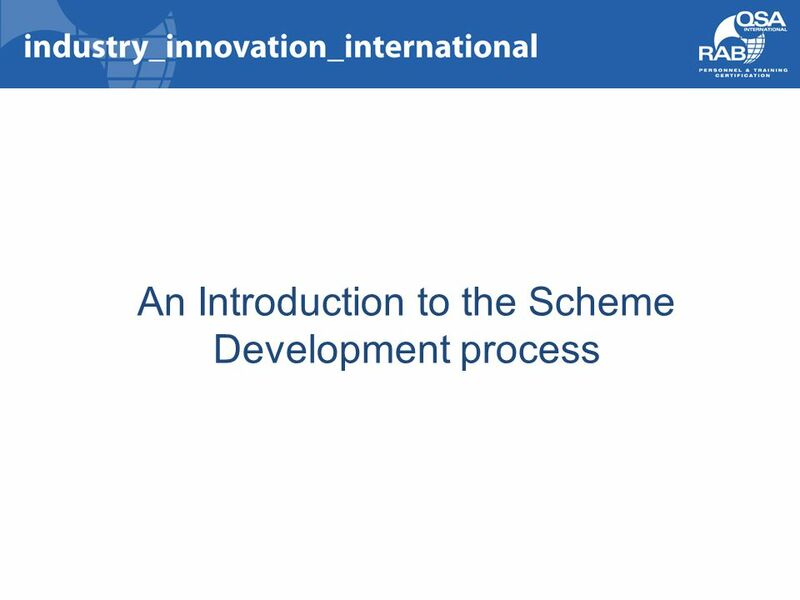 An Introduction to the Scheme Development process. 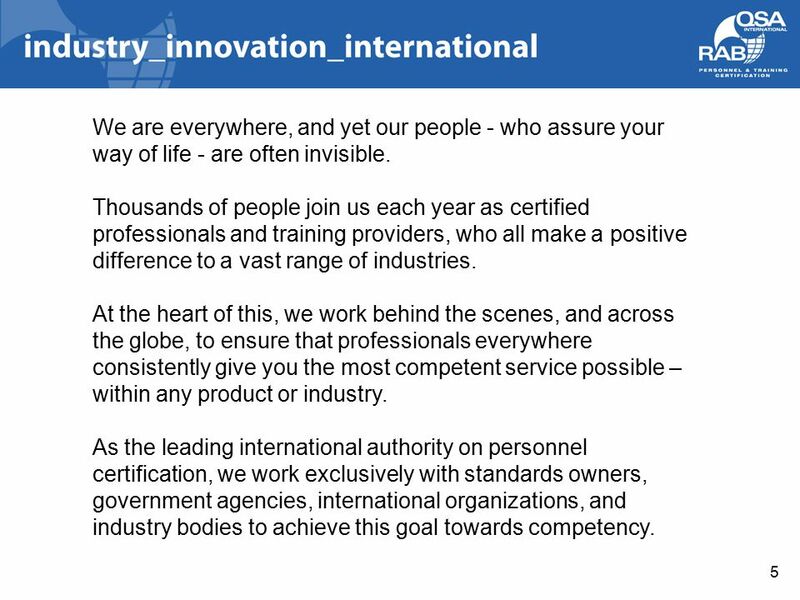 4 4 As the leading international authority on personnel & training certification, we work for you - to directly benefit your quality of life. This goal lies at the heart of everything we do ; and we couldn’t achieve these outcomes without our valued, certified & capable professionals and training providers. 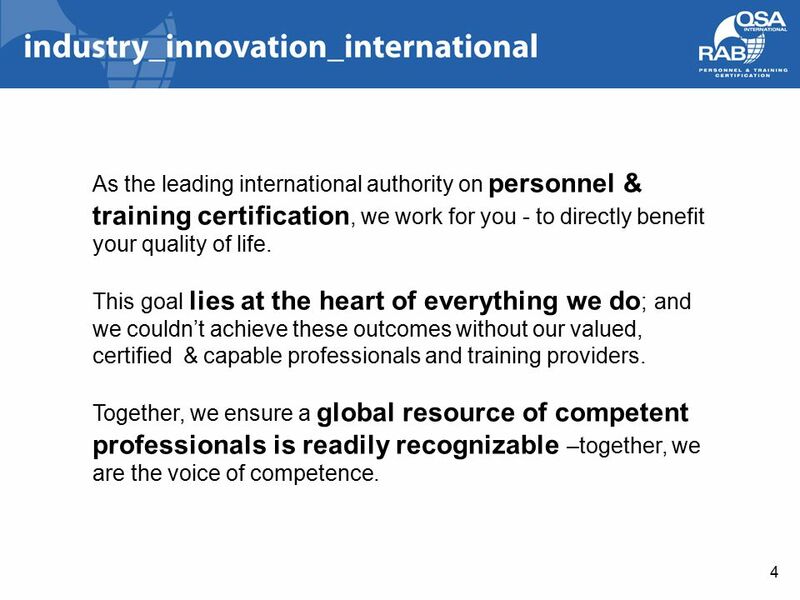 Together, we ensure a global resource of competent professionals is readily recognizable –together, we are the voice of competence. 5 5 We are everywhere, and yet our people - who assure your way of life - are often invisible. 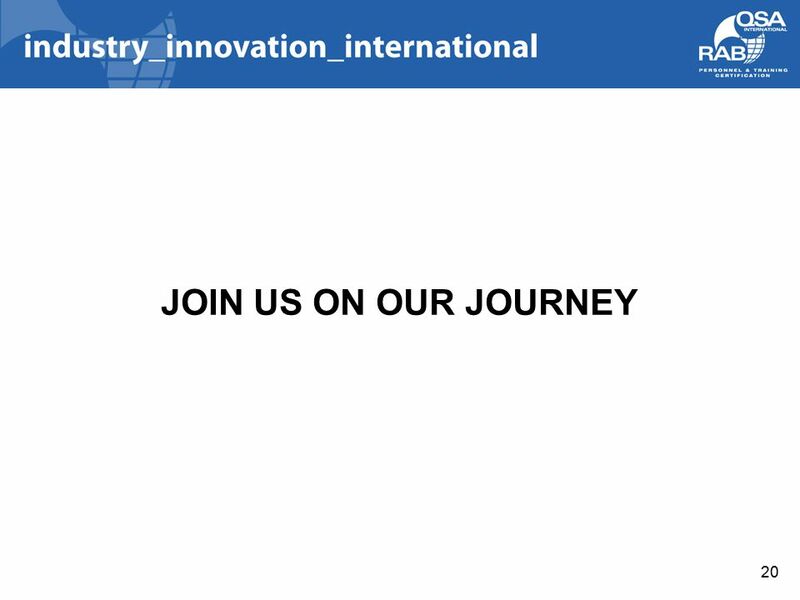 Thousands of people join us each year as certified professionals and training providers, who all make a positive difference to a vast range of industries. 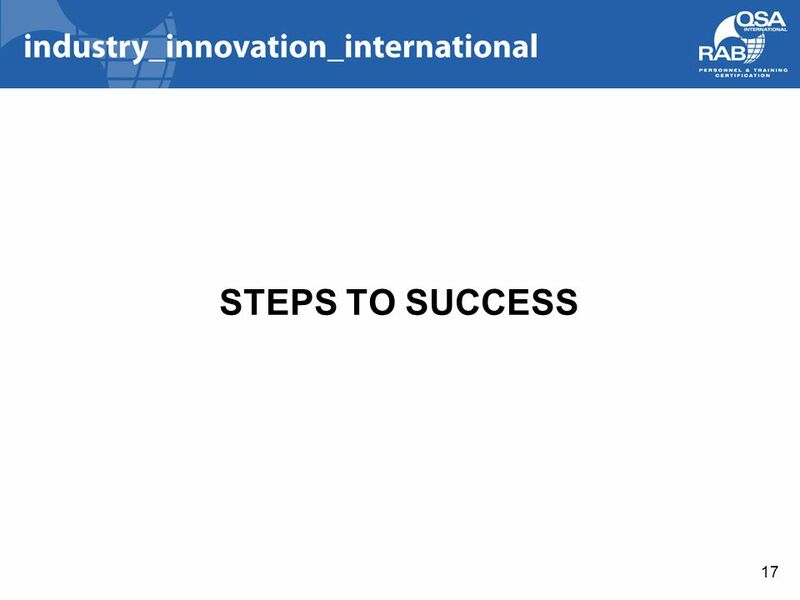 At the heart of this, we work behind the scenes, and across the globe, to ensure that professionals everywhere consistently give you the most competent service possible – within any product or industry. 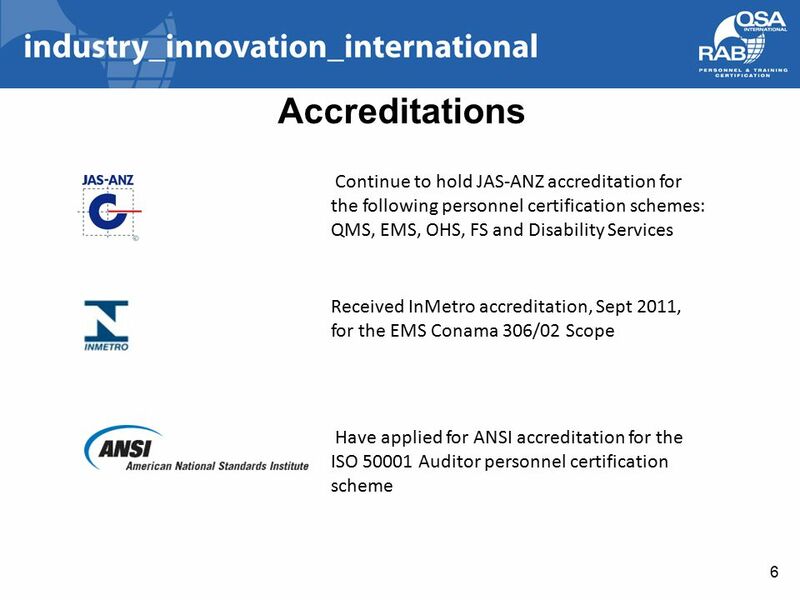 As the leading international authority on personnel certification, we work exclusively with standards owners, government agencies, international organizations, and industry bodies to achieve this goal towards competency. 6 6 Our Vision: To be the world’s most desired organization for competent professionals. 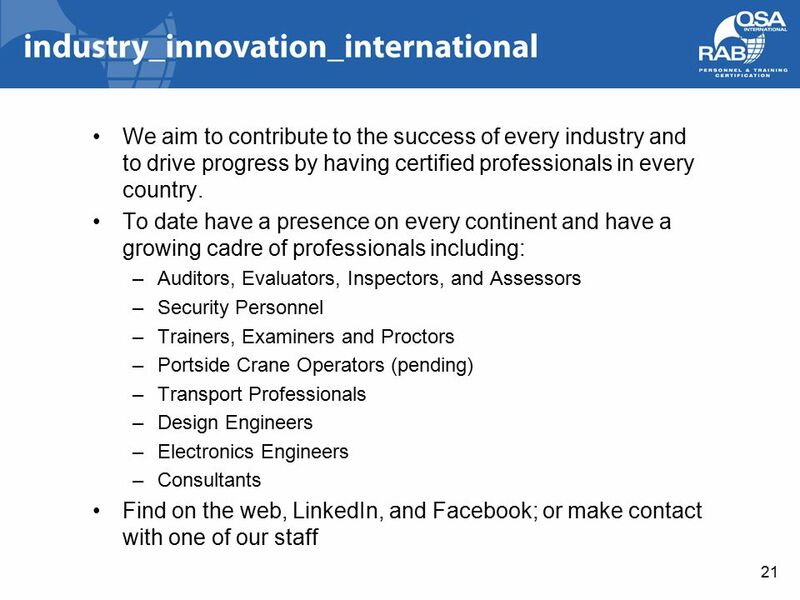 Our Mission: Provide world-class products and services that add value to professionals in industry through competency-based certification. 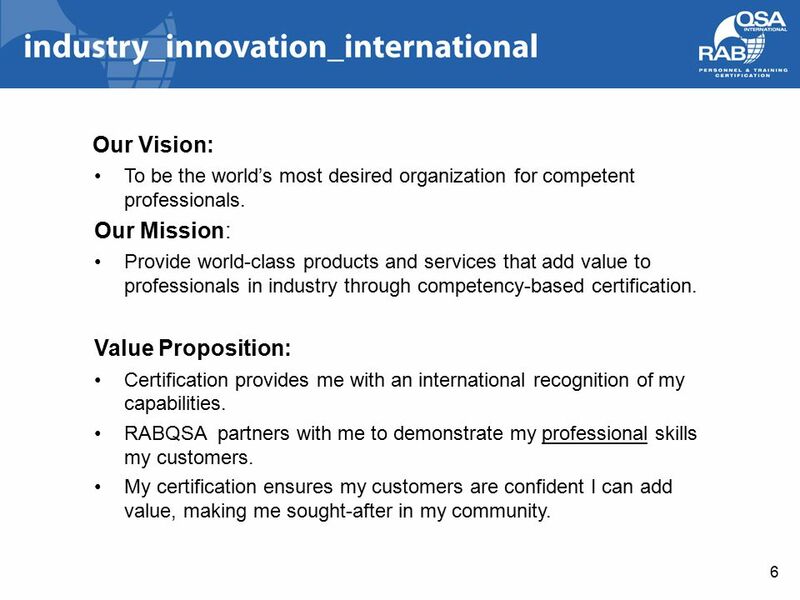 Value Proposition: Certification provides me with an international recognition of my capabilities. RABQSA partners with me to demonstrate my professional skills my customers. My certification ensures my customers are confident I can add value, making me sought-after in my community. 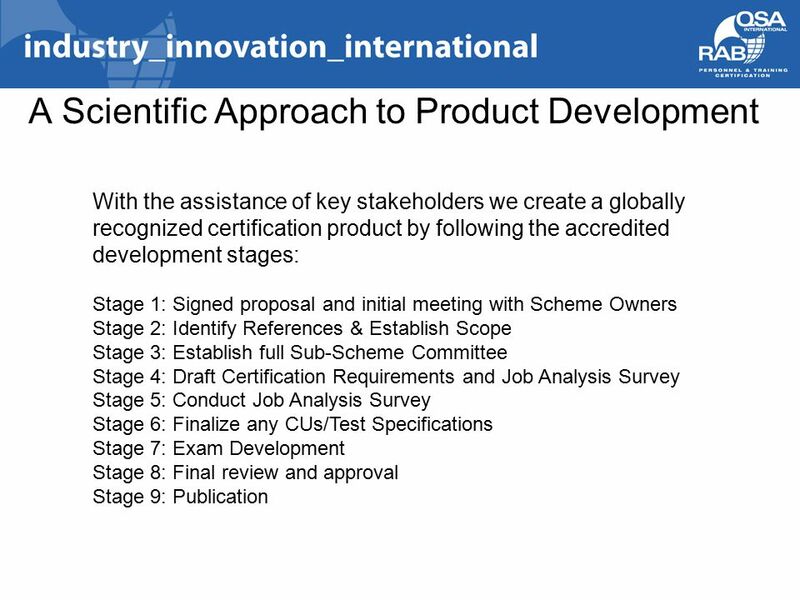 12 Supporting any certification product is the ability to rigorously design, develop, and deliver knowledge assessments. 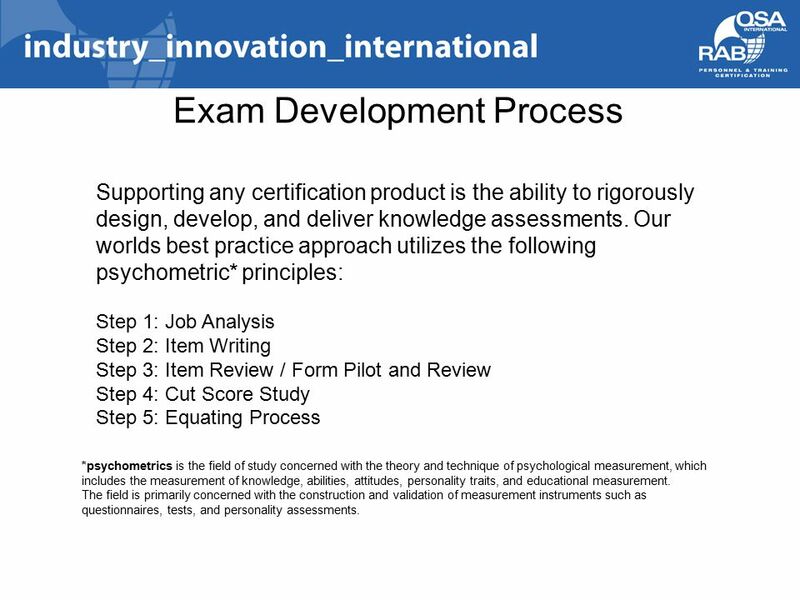 Our worlds best practice approach utilizes the following psychometric* principles: Step 1: Job Analysis Step 2: Item Writing Step 3: Item Review / Form Pilot and Review Step 4: Cut Score Study Step 5: Equating Process Exam Development Process *psychometrics is the field of study concerned with the theory and technique of psychological measurement, which includes the measurement of knowledge, abilities, attitudes, personality traits, and educational measurement. 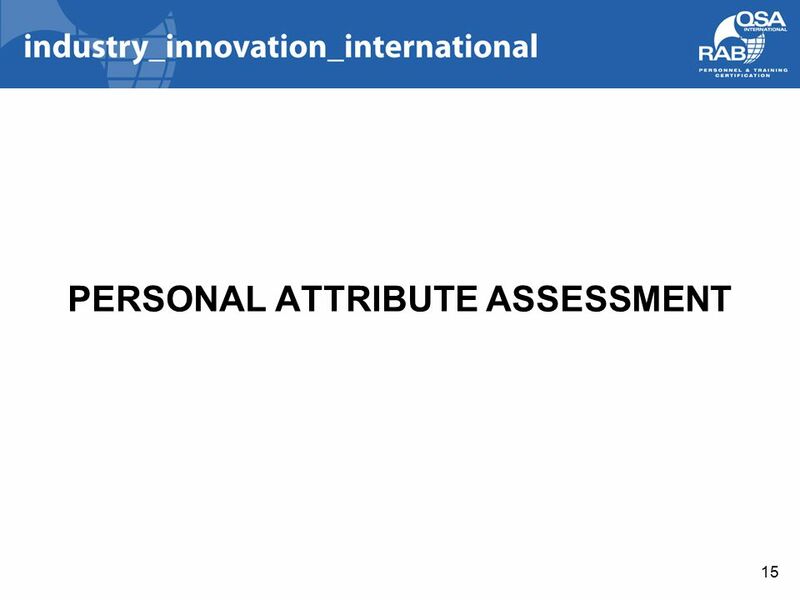 The field is primarily concerned with the construction and validation of measurement instruments such as questionnaires, tests, and personality assessments. 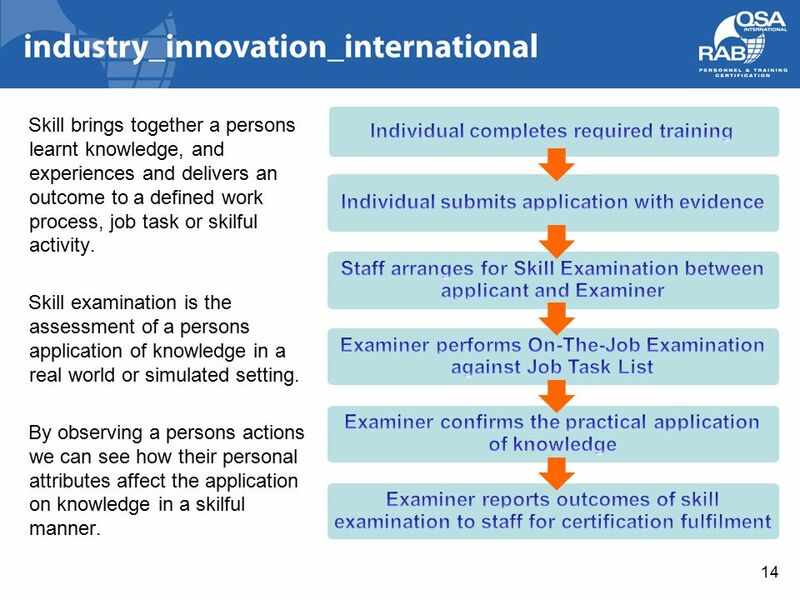 14 14 Skill brings together a persons learnt knowledge, and experiences and delivers an outcome to a defined work process, job task or skilful activity. 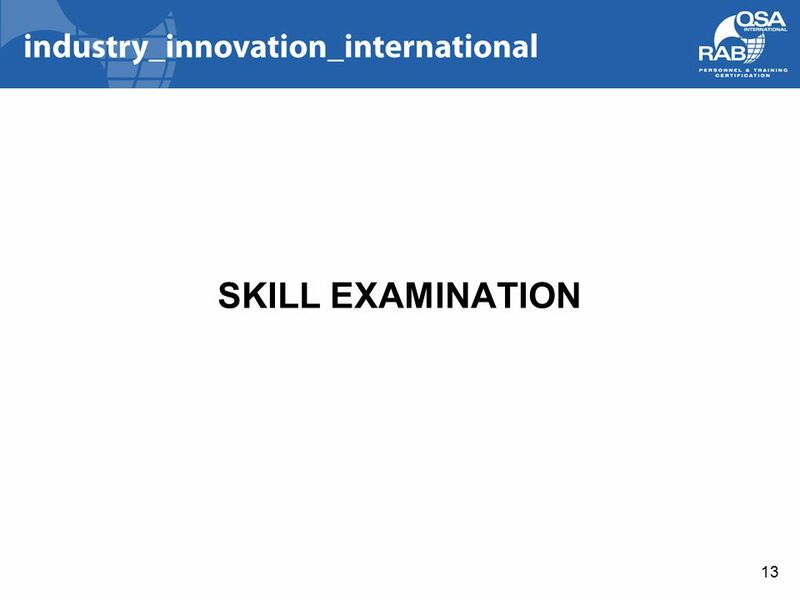 Skill examination is the assessment of a persons application of knowledge in a real world or simulated setting. 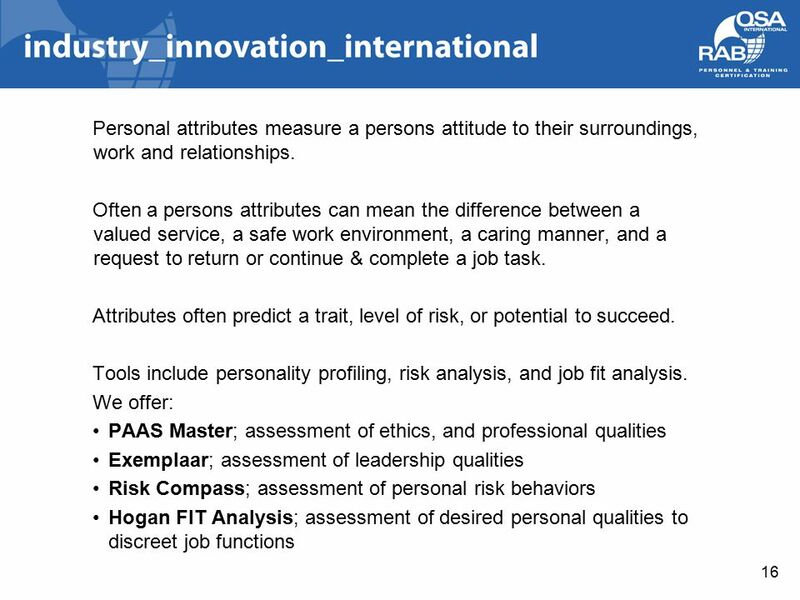 By observing a persons actions we can see how their personal attributes affect the application on knowledge in a skilful manner. 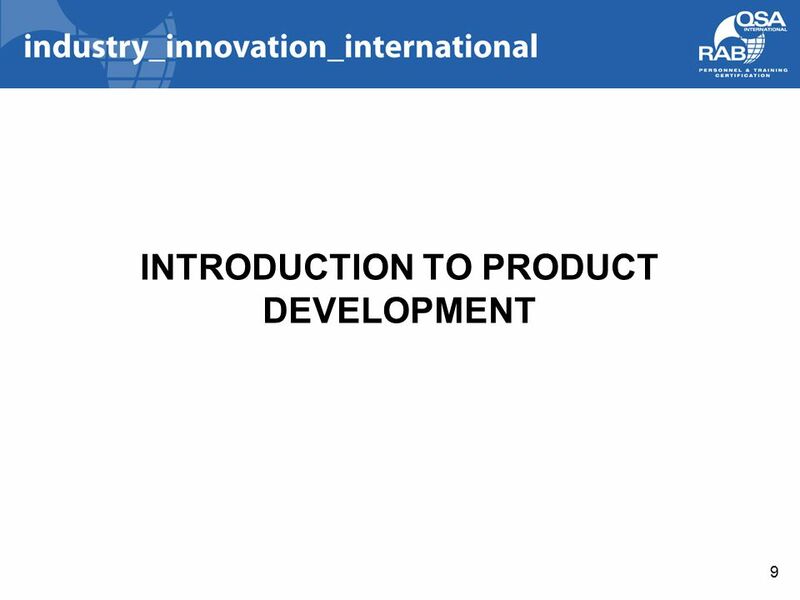 Download ppt "An Introduction to the Scheme Development process." NIMS ICS All-Hazard Position Specific Training – A Way Forward A Special Presentation for the All Hazards IMT Conference Houston, Texas November 4. PROFESSIONAL CERTIFICATION 8-Feb-141. 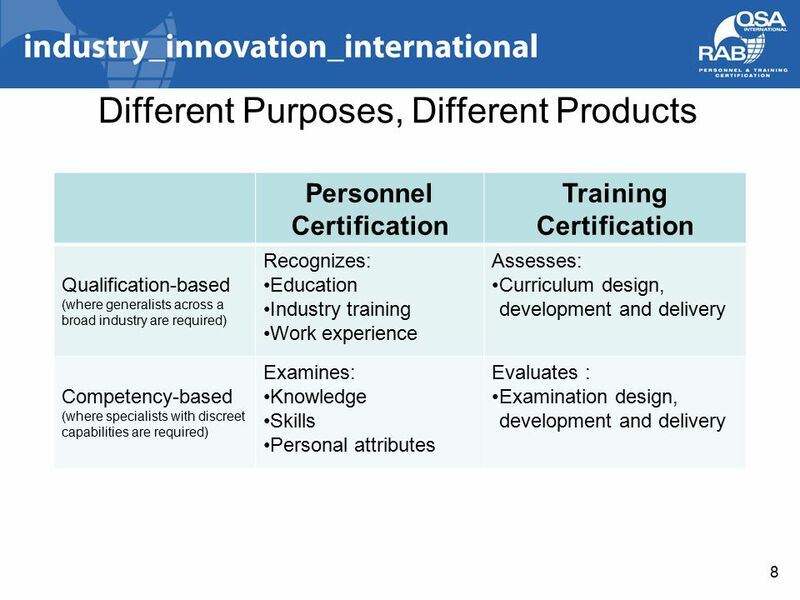 What Is Professional Certification? A voluntary process through which an individual documents their command of a. Presented to By. 2 3Terms and definitions 3.7 competence ability to apply knowledge and skills to achieve intended results. 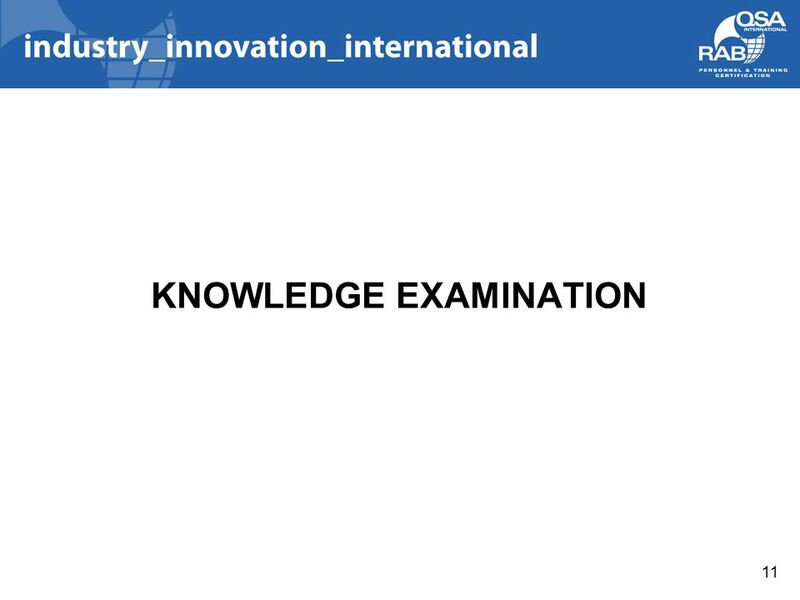 Knowledge Dietary Managers Association 1 DMA Certification Exam Blueprint and Curriculum Development. 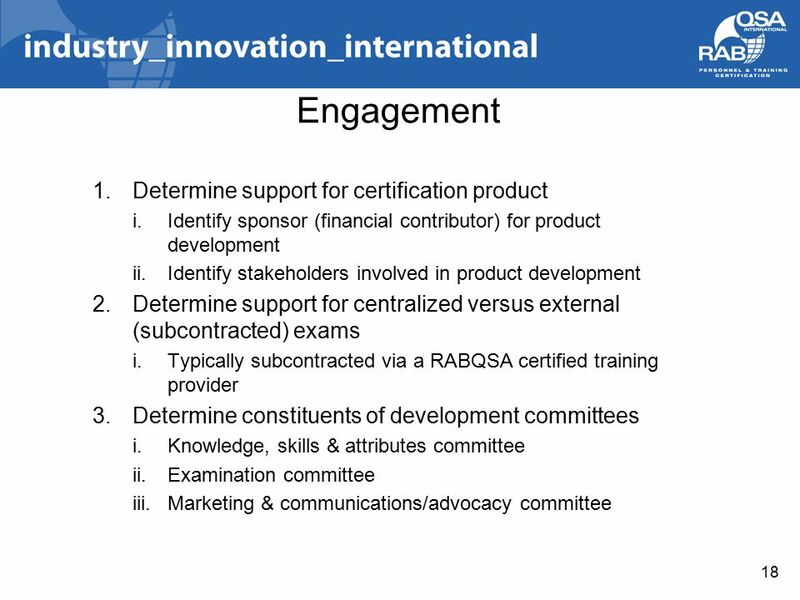 PROFESSIONAL ASSOCIATIONS: WHY PARTICIPATE? 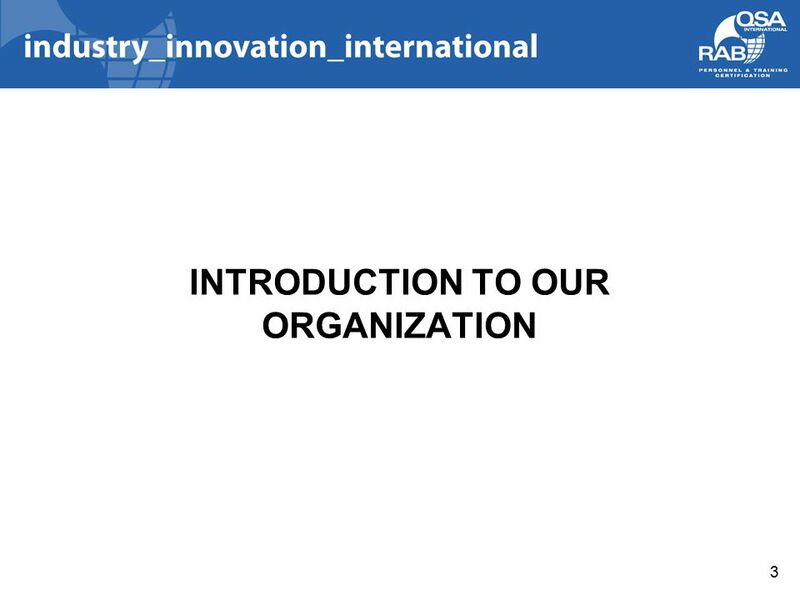 Presenter Name Company IIA Chapter/Institute. 1 National Collaborative on Workforce and Disability for Youth Competencies for Working with Youth: Identify, Assess, and Build Them! Five -Year Strategic Title I School Plan. 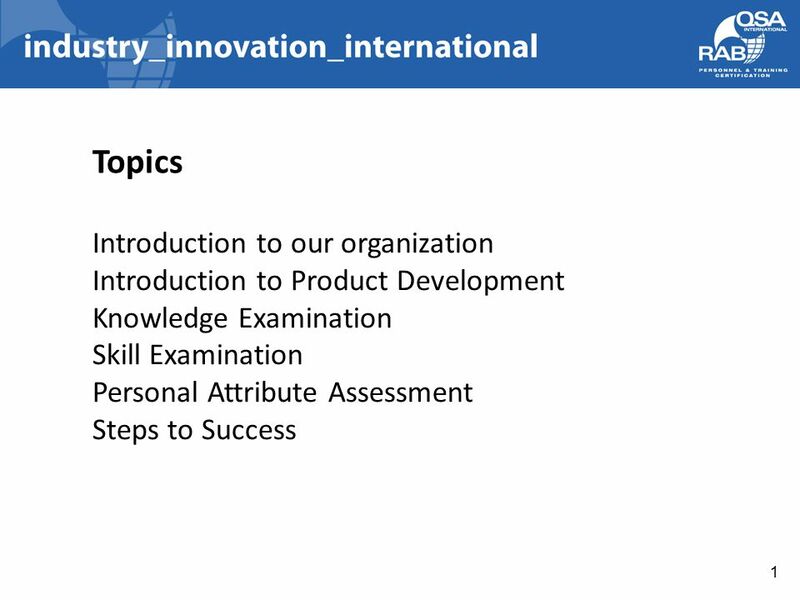 Session Objectives Review the five year components utilizing the rubric Organize actions steps to meet the requirements. 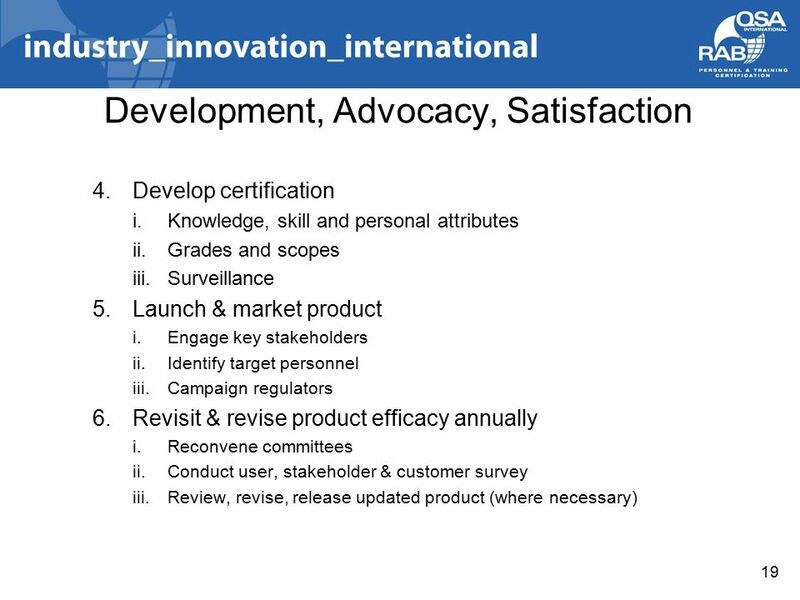 Massachusetts Quality Rating and Improvement System (QRIS) Overview of revised standards and initial pilot design. NPA: Business Improvement Techniques Contributing to Effective Team Working. Customised training: Learner Voice and Post-16 Citizenship. Develop and Validate Minimum Core Criteria and Competencies for AgrAbility Program Staff Bill Field, Ed.D., Professor National AgrAbility Project Director. WASC Review: Whats happened so far. May 19, 2008 In-service.